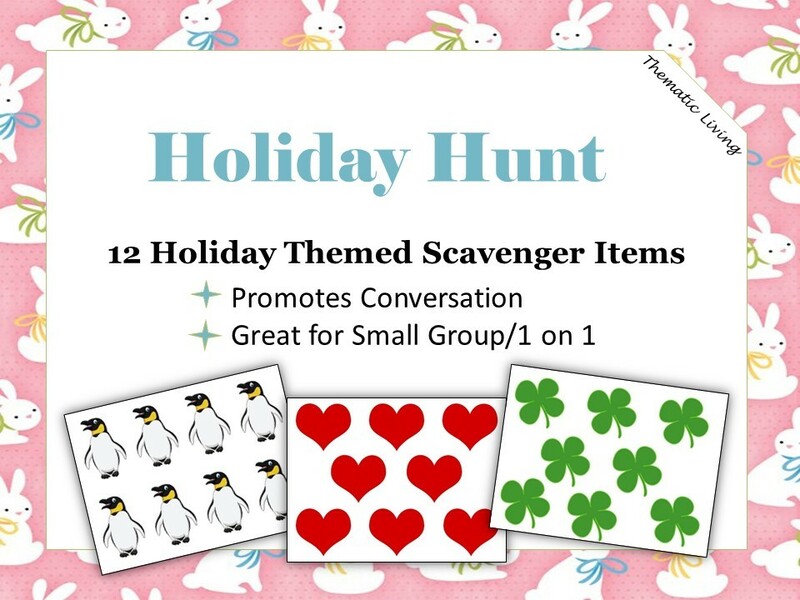 The holidays are among us, celebrate with a holiday scavenger hunt! There are many memories built around the holidays and traditions that we remember for years to come. Use the hunt that best fits your holiday (there are 12 different themes) and allow participants to find the items and record where they found it on their list (near fireplace). *Keep in mind that the hunts do not have to take place around the specific holiday and can be played just for fun. Choose how many you will hide (5, 10, 12), you may choose to number each one and create a master list for yourself. Just print, cut, (number) and laminate each item. Using tape or fun tack, hang each item, give each participant a recording sheet and let the hunt begin. Each list includes a picture of the item they are “hunting” for and 10 unnumbered lines (in case you decide to use more or less than 10).